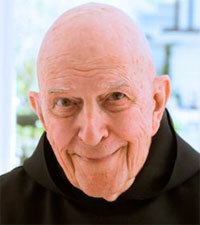 Father Thomas Keating. 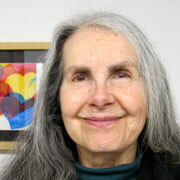 Photo from Spirituality & Practice E-Courses. Guilt that lasts more than 10 seconds? Another author refers to ten seconds as a key span of time for human beings. In "The Ten Second Miracle," psychotherapist Gay Hendricks talks about how a scary feeling (no matter what it is) can ease off if only we allow it full play for ten full seconds. He's coaching couples whose relationships are foundering, but the same idea can be used by an individual. I remember another therapist saying it can help to deliberately take the posture you're afraid of. Abraham-Hicks uses 17 seconds as a marking point. The idea is that if you embrace an unhappy thought (or any thought of something you'd rather not have in your life) for less than 17 seconds, it won't "wear a groove" (my words) in the brain. It can easily be dispelled. No ill effects. Abraham-Hicks also uses 17 seconds as a marking point for positive, happy thoughts of whatever you want to attract in your life. In other words, a happy thought begins to have a positive effect on your life if you embrace it for at least 17 seconds. I find all these ideas fascinating as a painter. To me, a primary aim of painting is to affect the experience of space-time in a positive way. So for one thing, if one of my paintings doesn't hold attention for at least 17 seconds, it's not serving that aim. I look at my own paintings with this in mind, as one of my prime criteria. If it doesn't hold even my attention for 17 seconds, will it hold the attention of anyone else? I'm far from discounting the value of both the 10-second and 17-second markers for my whole life as a person. There's no real separation between "Cathy as a person" and "Cathy as a painter." Opening to the power of love is the key for me.